When it comes to corporate volunteerism and social media, isn’t this what we normally see from brands? Good story. Great, model employee. Driving traffic to the website. All good things. 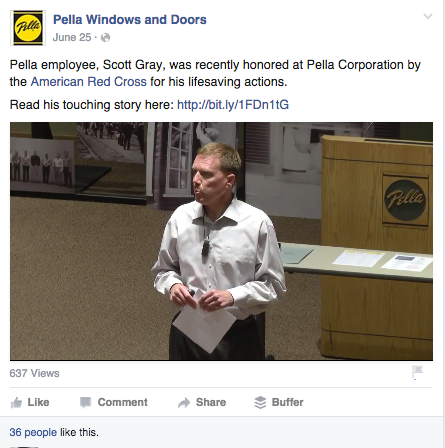 Except, the Pella folks forgot to amplify the content. 637 views and 36 likes ain’t gonna cut it folks. What is Home Depot trying to do here? What’s the desired action? To me, this seems like a straight information post. Great, but what do I “do” with it? 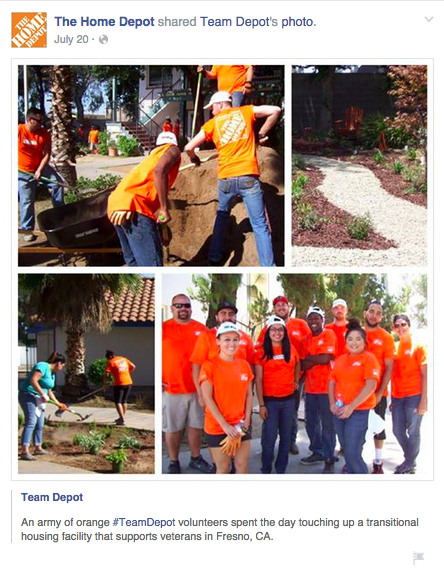 Posts like these are all too common when it comes to corporate volunteerism and social media for big brands. What do I want from our social media activity? More volunteers? Employee engagement? Enhanced brand reputation? More traffic to key volunteer pages on the corporate site asking employees to volunteer. More likes, comments and shares. #1: What about allowing employee volunteers to “takeover” your corporate Instagram account for the day during volunteer events? One of my favorite local Instagram campaigns is #onlyinmn. Essentially all Explore MN does is enlist the thousands of Instagrammers from across the state of Minnesota to tell its story for them. Simple, but brilliant. 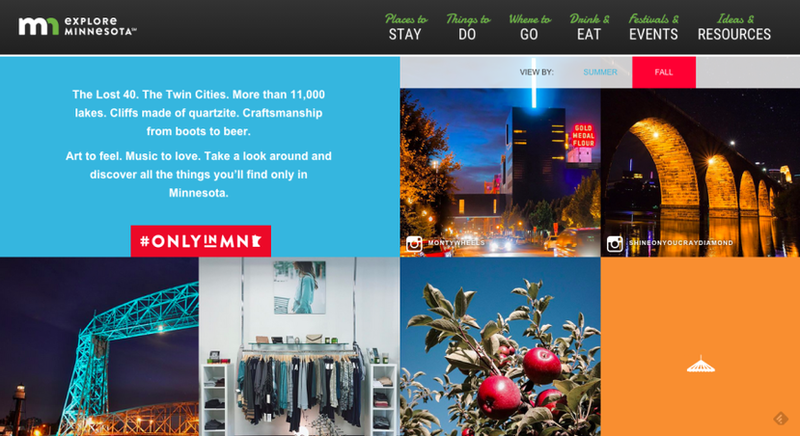 One execution of that campaign was its 10-Day Minnesotans project which asked a select number of influencers to visit Minnesota for a week and document their experience on Instagram. What a great way to give folks a different perspective on our great state! Why couldn’t brands do something similar with volunteers? Allow a select number of volunteers to “takeover” your corporate Instagram account for the day and share their volunteer experiences–through THEIR eyes! Of course, you’d have to set up guidelines and parameters with the employees. But, what a great way to engage key employee volunteers AND tell your story, from a unique perspective! #2: What about producing your own interview series live from volunteer events? 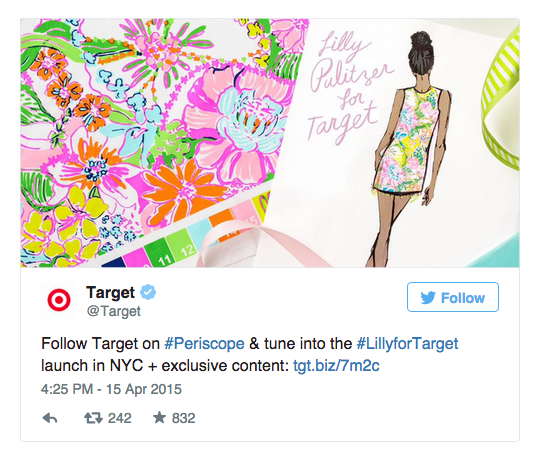 Remember the #LilyforTarget launch? I blogged about it earlier this year. One interesting part of that launch–Target was experimenting with Periscope as a tool to give fans exclusive content from NYC during the launch. Couldn’t companies use Periscope to help give employees and other volunteers an inside glimpse into corporate volunteer activities? Wouldn’t that be an interesting way to shine the light on the corporate volunteerism work? Wouldn’t that make it warmer? Wouldn’t it bring some of these compelling stories to life? #3: What about broadcasting volunteer rallies so far-flung and virtual employees can participate and feel involved? Or, what about broadcasting your volunteer rallies via Periscope so remote employees and those working in satellite offices can experience what it’s like in a virtual setting? Wouldn’t that be an interesting way to include those audiences? #4: What about live streaming unique volunteer perks so even more volunteers feel engaged? U.S. Bank is the title sponsor for the new Vikings stadium here in Minnesota. Recently, a friend and colleague who work for USB got a tour of the facility. Wouldn’t that be a great perk for volunteers? Couldn’t you live stream the tour and promote that to your existing volunteers as a nice way to let them experience that virtually as well? #5: Could you orchestrate virtual experiences of unique volunteer events as a way to recruit new volunteers? Don’t think companies are using virtual reality yet? Think again. 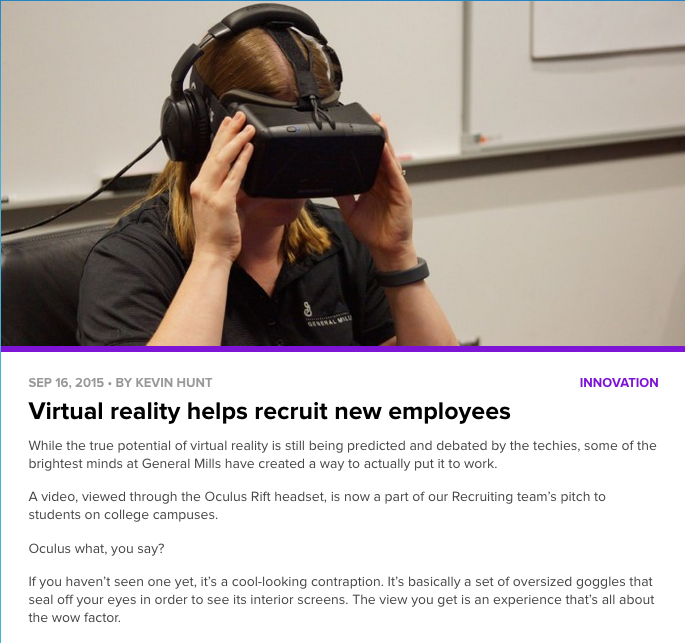 General Mills recently used Oculus Rift headsets to give University of Minnesota-Carlson School of Management students a tour of their corporate campus in Golden Valley. Couldn’t companies do the same thing with volunteer experiences? What about using VR to simulate volunteer experiences and then use that to recruit new volunteers? #6: Could you identify your star volunteers—and help them tell their volunteerism stories via LinkedIn? With so few employees using LinkedIn Publishing as a storytelling tool, couldn’t companies hand-pick star volunteers, and provide a bit of coaching and assistance in helping them tell their volunteer stories there? 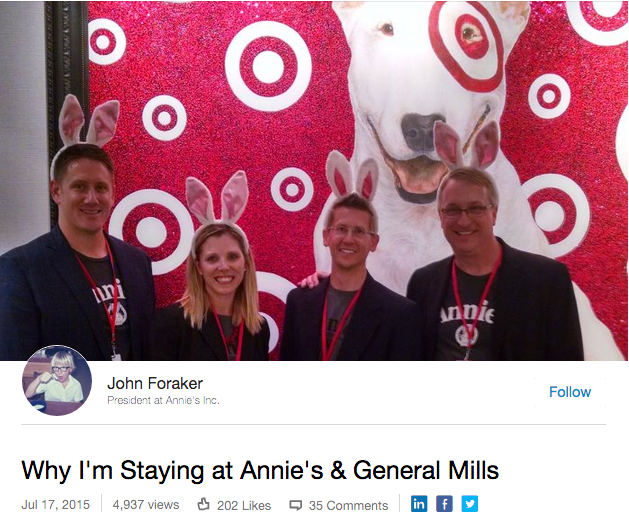 Wouldn’t that be a different way to reach other employees–and prospective volunteers? Wouldn’t that work better than publishing an informational post (see above) that gets 46 impressions and 2 likes on Facebook? #7: Could you identify one key executive with a passion for volunteering and help him/her tell their volunteerism story via LinkedIn? 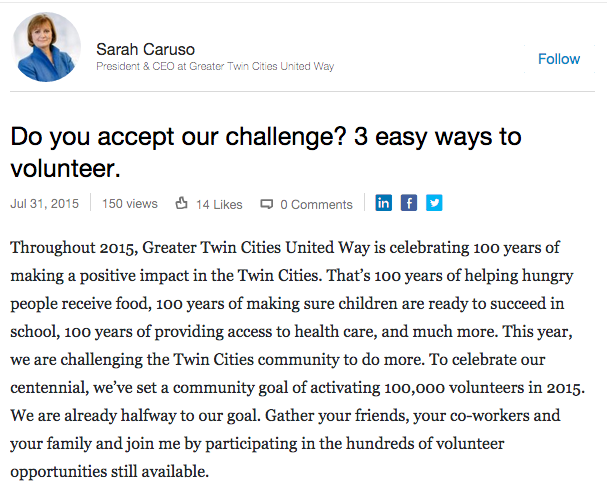 Twin Cities United Way (disclaimer: client) CEO, Sarah Caruso, is one of the few executive leaders I could find in the Twin Cities who is using LinkedIn Publishing. Opportunity, right? Every company has at least one exec who has a certain passion for volunteering. Find that exec, work with them, and encourage them to tell their story for why they volunteer via LinkedIn Publishing (tip: You will probably have to ghost write the post for them). Maybe make it a series that details the executives volunteer experiences over the course of a year? Just a few ideas to get you thinking. I’m pasting in the full presentation I gave below. Hope this helps stir up some new thoughts to get you thinking differently about how you tell your volunteer stories via social and digital channels!